The unique honeycomb shape traps heat inside the blind and your room rather than being allowed to escape through the window. This can reduce your heating bill in winter and in summer can keep your room cooler. 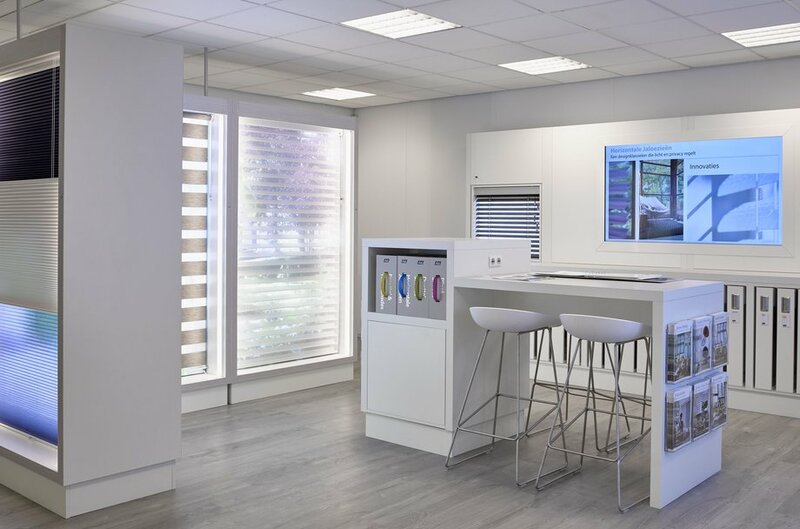 Eliminate pull cords altogether with our Luxaflex® Spring System. This cordless push up, pull down system raises and lowers the blind with the touch of a finger. With no hazardous hanging cords or chains, Spring Control Blinds are inherently child safe while also offering more user comfort and a streamlined appearance. 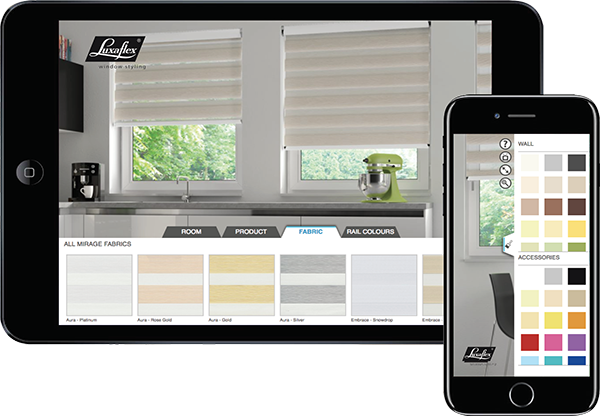 Luxaflex® Honeycomb Blinds are available in variety of beautiful colours, soft tones and transparencies. 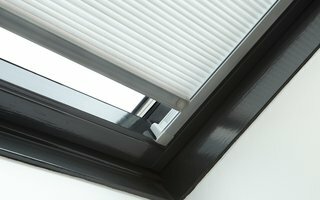 Our Top-Down Bottom-Up blind is the ultimate in light control, allowing you to shade sections of your room while still protecting your privacy. 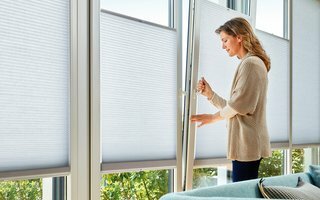 Perfect for all types of windows, Luxaflex® Honeycomb blinds are also great for tilt and turn windows and doors. Available in a large range of colours and textures to choose from, Luxaflex® Honeycomb blinds are particularly suited to Skylight windows. From crisp, bright whites to vibrant pinks or sophisticated neutral tones enjoy some of our favourite colours this season. Visit your local Luxaflex® showroom to explore the full colour range.